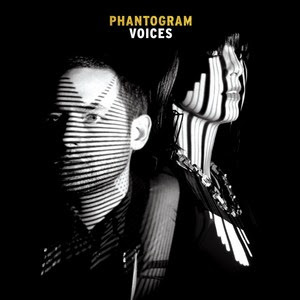 Released late February, Phantogram’s Voices evokes a warning or premonition, with its soaring synths, determined vocals, sharp hip-hop beats and the frequent themes of death, stars, love and dreams. Similar to the Nine Inch Nails album The Fragile, it makes you feel as though you are moving even when you’re not. A complex and gutsy second full-length album from the NYC duo (made up of Sarah Barthel and Josh Carter), Voices is co-produced by John Hill (Santigold, MIA) and reveals the band’s growth musically from their first album Eyelid Movies. Sarah and Josh are certainly dynamic and Voices is layered with elements of punk, soul, industrial rock, shoegaze and hip-hop. The aptly titled ‘Nothing But Trouble’ opens the album with alarm; juxtaposing Sarah’s airy vocals with a grating guitar solo and cemented by the chorus ‘Don’t listen to me, I’m nothing but trouble, I’m losing my mind’. ‘Black Out Days’, an obvious choice for the best song on the album, continues mixing stark synth and ethereal looped vocals with throbbing beats. Although ‘Fall In Love’ is the single from Voices, it is unremarkable except for the Burzum like intro and outro. Similarly underwhelming are the tracks ‘Never Going Home’ and ‘I Don’t Blame You’ , with the atmosphere somewhat muddied by other elements. The staccato guitar adds to the doomy synth and backing vocals on ‘The Day You Died’, to create a solid melody. Tegan and Sara-esque vocals and synth reminiscent of The Doors start midway to make for a fun, almost gothic track. Comparatively the next song, ‘Bad Dreams’ sounds washed out. Rainy mornings lying in bed come to mind with the dreamy ‘Bill Murray’. ‘Celebrating Nothing’ is a memento mori with Sarah gently singing, ‘Give me a reason to stay alive, we’re gonna die, I’ve got the feeling we’re gonna die, we’re gonna die’, just suppressing ambient guitars. The whole album feels like it’s moving you into a dark open space. A fitting last song, ‘My Only Friend, acts as a farewell and end to your journey. Phantogram is gathering a mass of dedicated fans, with Coachella and Lollapolloza sets racked up, as well as nods of approval from Big Boi, The Flaming Lips and M83, so it’s safe to say that there are bigger things on the way. This entry was posted in Music and tagged Album, electronic, lip, Lip Magazine, lipmag, New York, Phantogram, Review, Voices. Bookmark the permalink.